This post was inspired by my daughter whose snot, poop, and puke have been on me at various points in the last few days. Who Pooped? is one of the most Pinned resources of all time on this blog. Who Pooped? 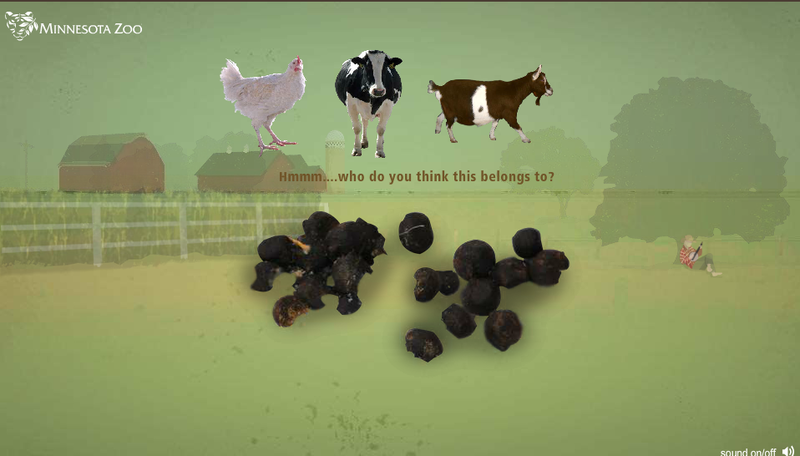 is an interactive site in which students learn about various animals by guessing which animal created which pile of poop. Believe it or not, there is actually some good information about the animals that follows each round of guessing who created which poop. Cows are one of the that animals you can learn about on Who Pooped? (give the site some time to load in order to view all features). In the video below a Rube Goldberg machine is used to show how a cow's digestive tract works. Cow from Nova Jiang on Vimeo. The Cleveland Clinic offers an infographic titled The Color of Snot. The infographic breaks-down what the color of your nasal mucus indicates about your health. The infographic might be of interest to health teachers and school nurses to print and post for students to read. You can read more about the infographic on the Cleveland Clinic's website or grab the PDF of the infographic here. What is an owl pellet? That is the topic of the latest SciShow Kids video embedded below. Unfortunately, most students don't get the experience of walking in the woods and finding owl pellets. You can order owl pellets from a science lab supply company or you could have your students virtually dissect an owl pellet. Kid Wings is a website all about birds. The site includes a virtual owl pellet dissection activity. In the virtual owl pellet dissection students pick apart an owl pellet, examine the bones inside it, then match those bones to the skeleton outline they've been provided. The names of the bones are read aloud to students when they click on the bones in the virtual activity.